Compact - space-saving - highly precise - maintenance free! 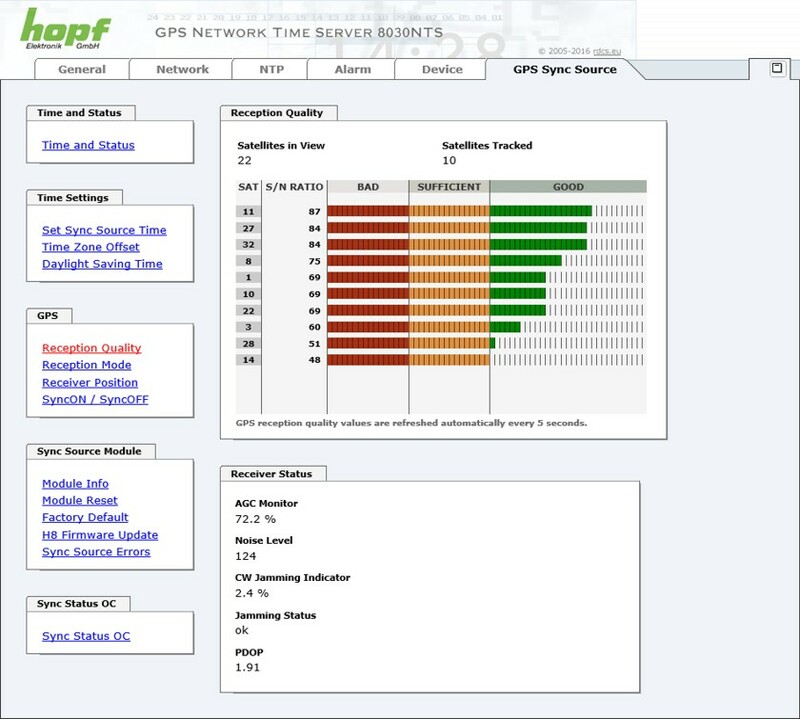 This is the hopf network timeserver 8030NTS/GPS, easily explained. 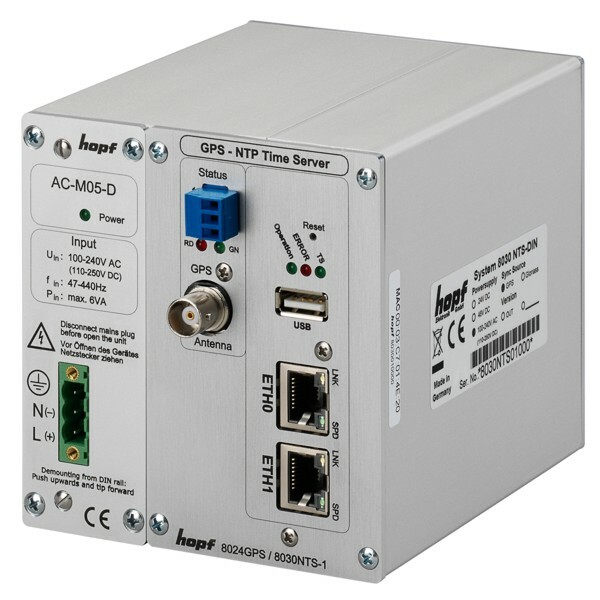 With its up to 2 isolated and mutually independent network timeserver modules and up to 4 ethernet interfaces the network timeserver 8030NTS/GPS for DIN rail mounting is the ideal solution ensuring enhanced security for business critical and even most demanding applications! 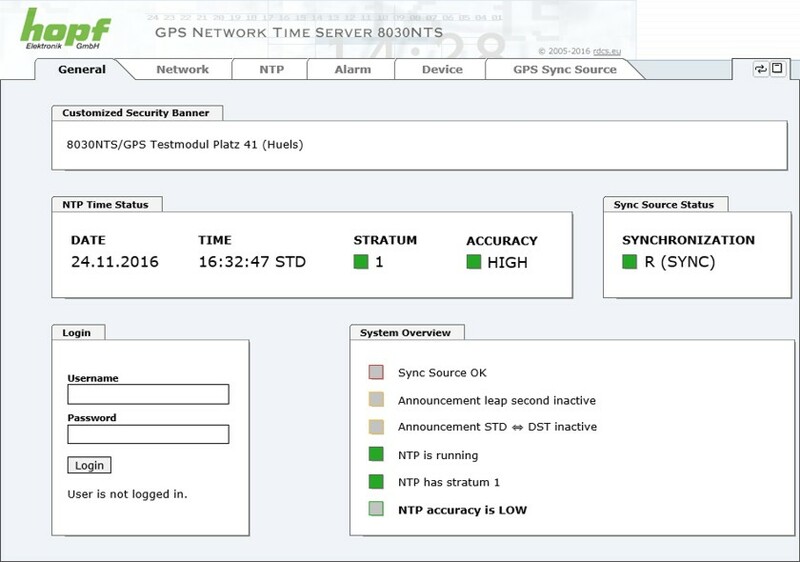 To ensure enhanced security and availability in redundant networks one isolated, independent network timeserver module 8030NTS/M may be integrated in the base system at time of purchase. The mentioned output modules are available in various electrical signal output versions as well as modules for fiber optic output. 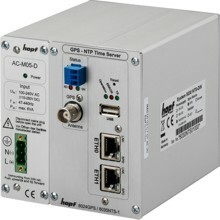 Activate additional functions per network timeserver module on site after purchase of the appliance by entering a serial number-dependent activation key.